Since we arrived in America for our final leg of #RunningDry, we’ve been meeting so many extraordinary water heroes. Check out my Instagram feed if you haven’t already, to see our daily adventures. I’ve been struck, time and again, by the resilience of the people we’ve met: how they’ve come up with such creative solutions to their water problems, and are thriving despite it all. Like the Seley family - we visited Mike Seley and he showed us around the Seley Ranch in Borrego Springs. You can read his full story here, and check out the beautiful images Kelvin took above. 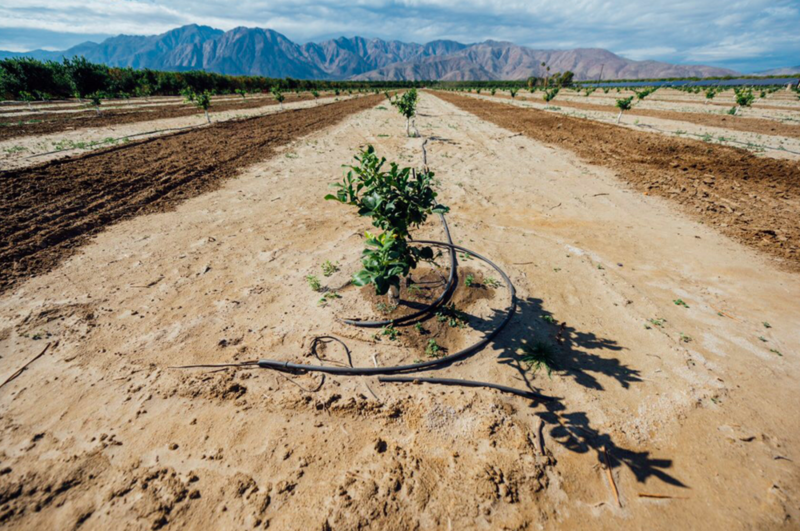 The aerial images show how arid the farming conditions in the Borrego Spring valley really are, and also how the Seleys have been replanting portions of their citrus orchard with fewer trees per acre. They also plan to leave some areas dry and fallow to comply with new mandatory restrictions on groundwater pumping. The Seley’s orchard converted to drip irrigation in the 1960s, and use systems that track heat, wind and soil moisture. A few years ago they spent thousands of dollars on a new water-saving filter system for their wells.